“Cornelius” is part of the Hansen family; John and Susan, who live in southern Wisconsin. Cornelius was purchased in February of 2017, and if you follow along, you will be sure to see a lot of adventures in maintenance, restoration, and yes, even driving! Over time we also hope to add video. 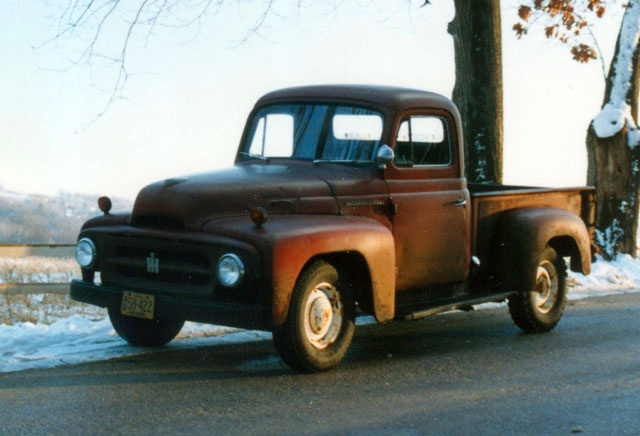 Prior to Cornelius, we had a 1953 R-112 long bed pickup called “Cornelia”. Cornelia was purchased in 2009 and sold in 2017 to make room for Cornelius. While Cornelia is a very restorable truck, she came with a seized engine, which in the end, was determined to add more expense to the restoration than we desired. 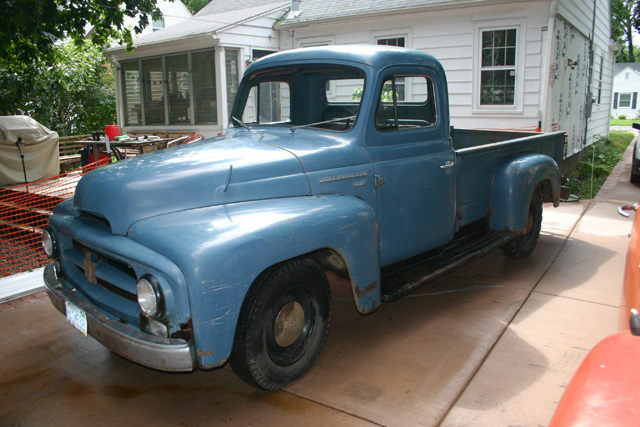 Also, since we are getting older, we wanted a truck we could enjoy by driving once in a while, not just wrench on. 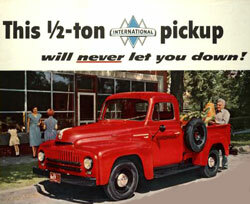 John actually learned how to drive on a 1953 R-110 Series short bed pickup called “Corny”. Corny was John’s truck from high school in 1979 up until an accident in 1993 where a fellow ran a stop light and totalled the truck. Corny provided many adventures, but more important, provided John with years of experience in both driving and maintaining an International Harvester truck. 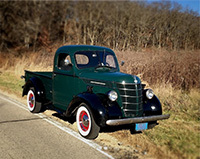 “Corn” is a part of our truck names due to the fact that old International Harvester pickups were called “cornbinders” or “binders” back in the day. The origin of this nickname spawns from the ingenuity of the International Harvester Company’s owner Cyrus H. McCormick (inventor of the reaper). 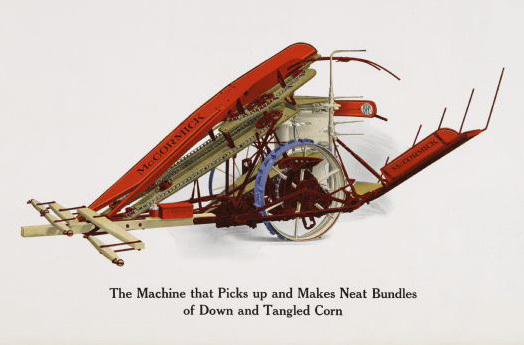 It was well-known in farming that if a piece of equipment or a vehicle helped to lessen the work on humans, animals & machinery, while at the same time getting the job done quickly and correctly, International Harvester built it. 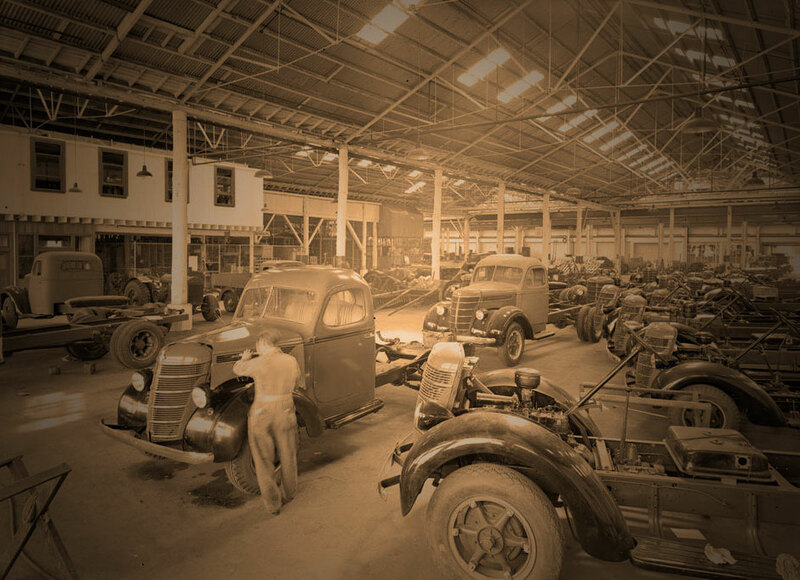 The love for something being built right, dependable and most importantly durable, was carried on to the truck industry and later to heavy machinery and finally to today’s big trucks. So it is a moniker carried with great pride. As a final note, some of you are coming here via the old link to the “Restoring Cornelia” website, which was very similar to this site, only focused on the 1950s L and R-line Internationals. We have added a ton of reference information from that site available to you here as well. You will find the material in the “R” sections of the reference library. Have any material that you might be willing to donate for visitors such as sales materials, Shop Talks and other manuals? Please let me know. I would be willing to pay postage both ways, scan the material(s) and return the material(s) to you in the same condition as received.